Wood Frames: Windows made from wood offer great insulation, but they require much more upkeep than other materials. If you live in an area where you get a lot of rain, or you live in a humid climate, there will be a big potential for rot. But, a well-built window will last a very long time in the right conditions, and will serve you well. Aluminum: Aluminum windows are good options for rainy and humid climates, and are common in areas where hurricanes are prone (they meet strict building codes in those areas). But, they don’t perform as well when it comes to insulation, making it a less practical option if you’re looking for energy saving windows. Vinyl: Vinyl windows can provide excellent energy efficiency, because high-quality vinyl windows often are build with insulated glass, and a very tight construction that reduces heat and air conditioning leakage. They can also be a great option for those with a tight budget, but don’t offer as many color choices. Wood-Clad: Wood-clad windows are made with a wood interior (great for keeping your home insulated), and a vinyl or aluminum exterior (which is low-maintenance). Again, however, you need to be careful in wetter climates, and you must also be careful that you have an expert installer install them properly so that they don’t succumb to water damage. For the most energy-efficient windows, look for a sticker on the glass with ratings from the National Fenestration Rating Council, showing they have qualified for Energy Star status. One of the most important things when it comes to decreasing the energy bill in your home is your window installation. Even if a window is expensive and is as energy-efficient as it gets, a bad installation will result in high energy costs. Contractors and installers who rely on sealants and expanding foams to get the right fit may get your windows installed, but they won’t be waterproof, and can lead to issues, and loss of heat throughout the year. 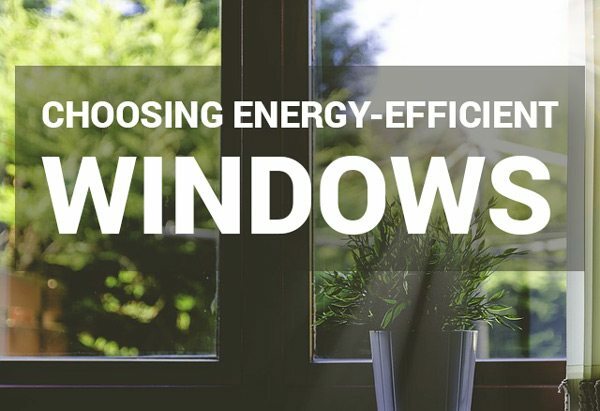 Call Gravina’s Windows at 303-472-8462 to learn more about energy saving windows, and the right installation in your home. We are located 3 blocks west of Santa Fe, at 950 W Evans Ave, Denver, CO, 80223.